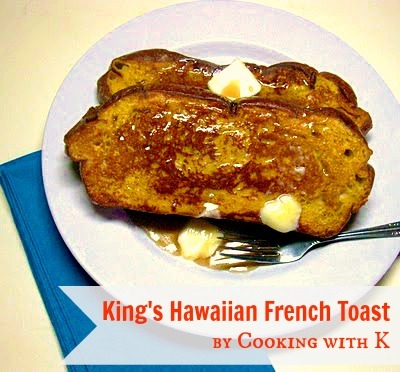 King's Hawaiian French Toast, thick slightly sweet bread dipped in egg-milk mixture and lay in a hot skillet with melted butter and brown until golden. With the perfect sweetness of the bread, a little syrup is necessary! 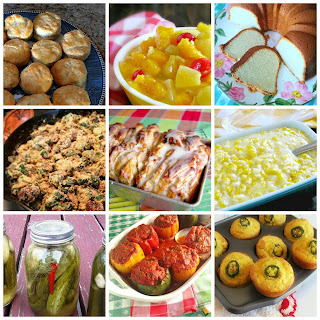 What is it, you see these recipes and you keep thinking you are going to make them and then they are forgotten. Well, this last Saturday I got in my head to go ahead and make this particular French toast recipe. Slice bread crosswise so that each slice is about 1-inch thick. Cut larger slices into halves or thirds, if desired; set aside. On medium high heat, heat a large skillet until hot but not smoking with a teaspoon of butter and a teaspoon of oil. In a shallow mixing bowl, whisk together the eggs, milk, vanilla and cinnamon. Quickly dip slices (do not soak) in egg mixture and lay in the prepared skillet; brown until golden brown and turn over and do the same. Continue with the remaining slices. Keep egg mixture stirred and spices well blended. Lay browned ones on a sheet pan and place in a 200 degree F. warm oven until all have been cooked. Sprinkle with powdered sugar and serve with warm maple syrup. what a delicious breakkie to kick start the day. MMMMM! I love hawaiian bread and french toast too. This is a definite winner and we'll be enjoying it soon. Thanks much for sharing! This looks like a great breakfast treat. I really like the recipe. Thank you so much for sharing at Full Plate Thursday and please come back! Just found your great blog today. 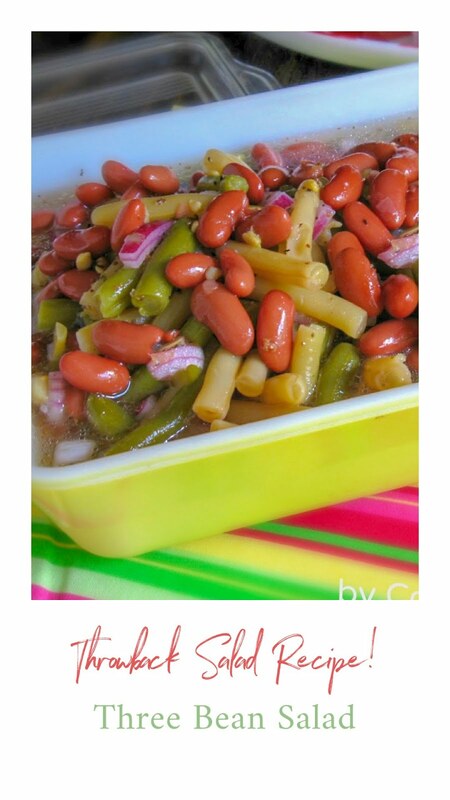 I really like the design and the recipes are wonderful! 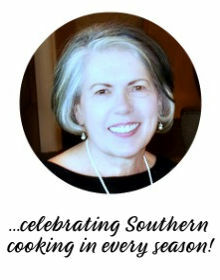 Noticed "I read cookbooks like novels"....love it; I do too! Thought I'd let you know that most Fridays on my blog I review an old cookbook from my shelf. Thought you might enjoy it. I'll be stopping by again to check-out your blog. You have a lovely blog ... I can't wait to see all of it ... I'm your newest follower!!! 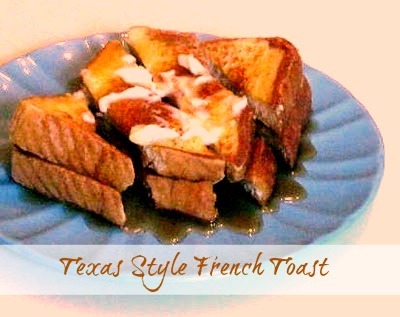 French Toast are always welcome in my house. It is like comfort breakfast and great for tea-time too! I have an award for you. Please do drop by to collect it when you can. Thank you! Hi K ~ Thanks for stopping by my blog and your nice comment. 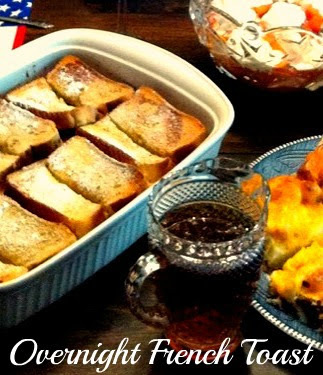 I love French Toast also and your photo with the syrup and melting butter sliding off the edge is making my mouth water. Good job! This sounds so delicious. can't wait to try it! This looks and sounds absolutely delicious! Can't wait to try it?